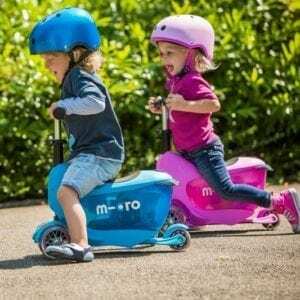 The Micro Trike has been designed for Pre-schoolers who dislike the traditional pushchair as they want their independence. Yet they still need a seat and to be pushed along to help them on time bound or longer journeys.. 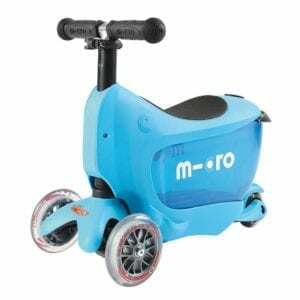 The Micro Trike puts an end to clunky, noisy and hard-to-steer children’s and toddler strollers and pushchairs. The Micro Trike is incredibly lightweight, with special wheels that make it quiet and easy to manoeuvre; it folds down neatly and compactly allowing it to be stored in the smallest of spaces. 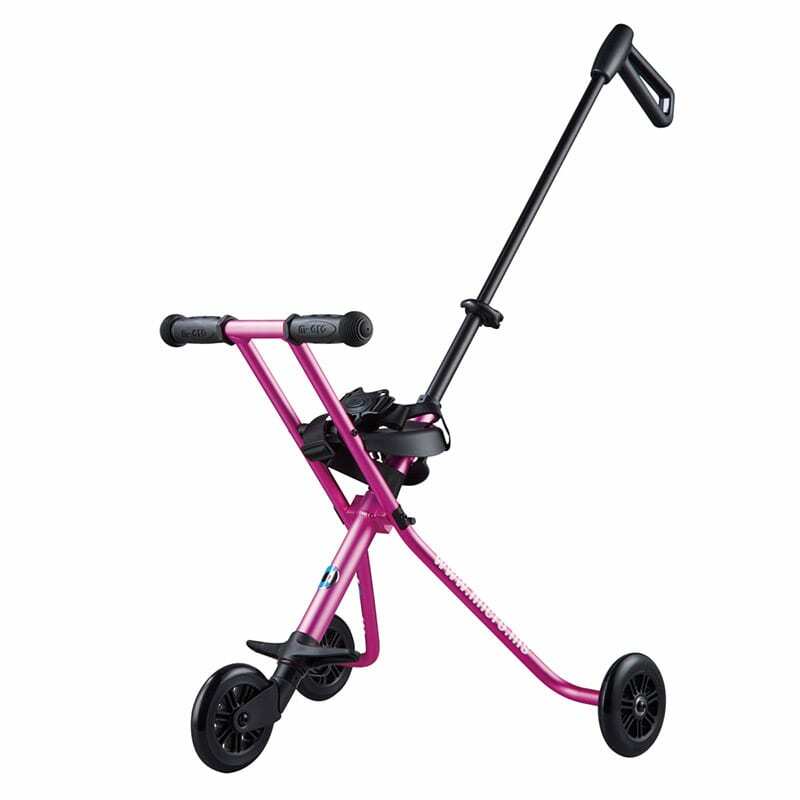 With a sturdy seat, cosy handle grips and an adjustable footrest, your child will be at their most comfortable, entertained and happy when you are out and about. 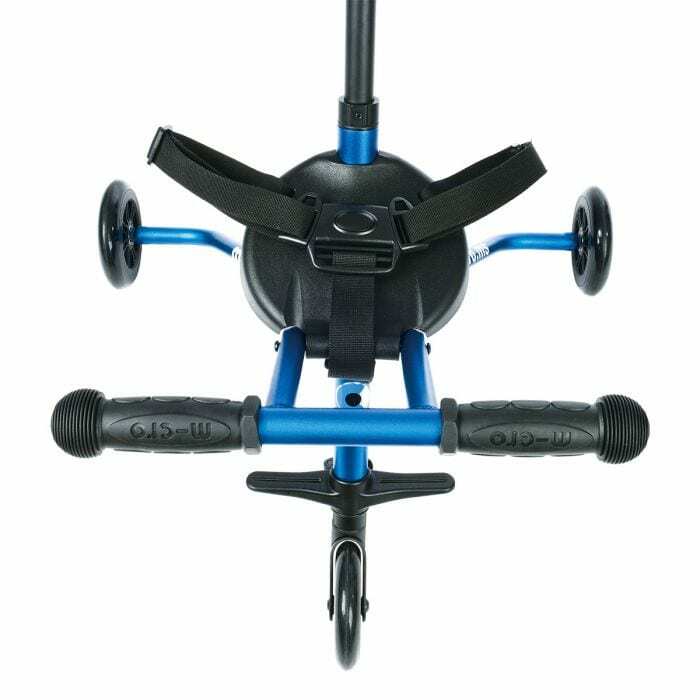 As with all of our wheeled products, we recommend children wear a helmet when using the Trike.The safety strap should always be worn with little hands kept on the handle bars and small feet on the foot rest for stability.Caution should be exercised when moving up or down kerb. 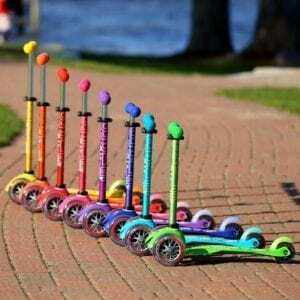 Getting out and about with your toddler in tow is now easy and simple to do. The Micro Trike is slimline, compact and lightweight, making it the perfect solution for days out. 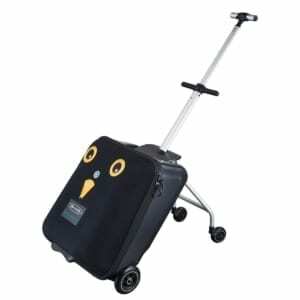 Its compact design means it can be easily stored in the boot of a car, it unfolds effortlessly and is strong and robust. 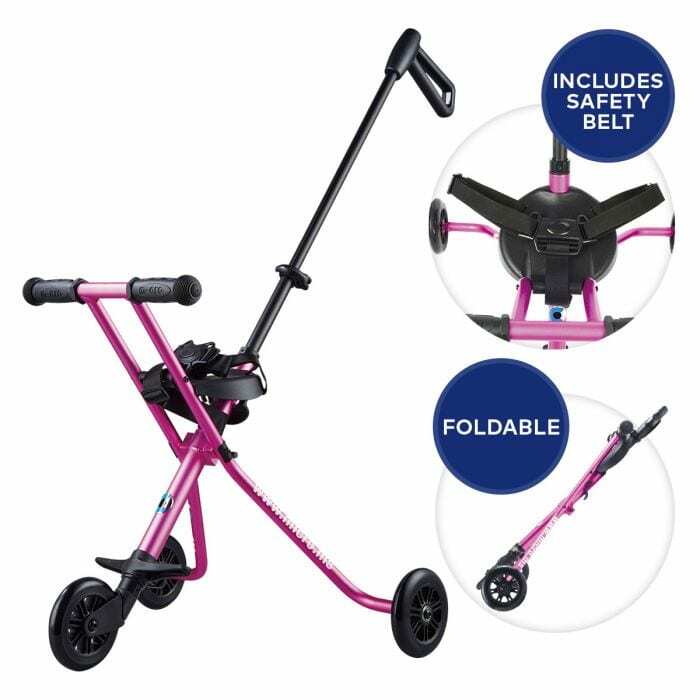 With a sturdy seat, cosy handle grips, an adjustable footrest and extendable steering pole the Micro Trike can be adjusted to suit your growing toddler. 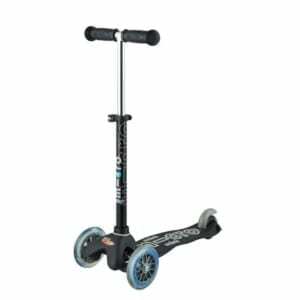 The Micro Trike is incredibly lightweight and a breeze to push and steer. It doesn’t clatter or bobble along the ground instead it is a design masterpiece; quiet, smooth, understated and practical. This is Swiss design and engineering at its finest, for forward thinking families.